Thinking Mitch Rosen, any other recommendations??? You may check out Nate at UBG Holsters. Excellent quality and pretty quick turnaround. For OWB, he has 4 different models. He does make them for the VP9SK. RGrizzle Georgia Snap holster. This is my 4th from him. Very nice! Thanks for sharing!!!! I am partial to Wright Leather Works Predator pancake holster. I use one for my P30SK. Kevin at Nightingale holsters has some *very nice* VP9sk holsters in stock. No 28 week wait! 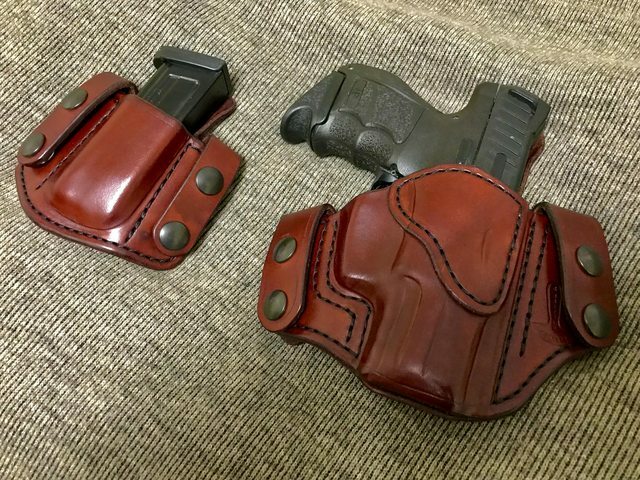 I like the Mitch Rosen Upper Limit for an owb holster.